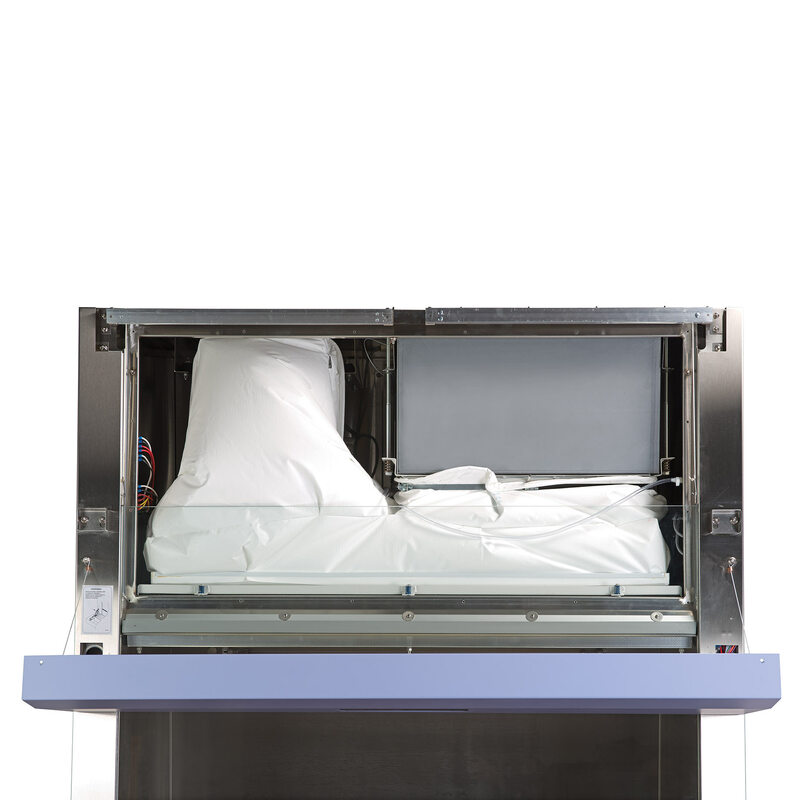 The biosafety hood cabinet design regulates air velocity through HEPA filters and apportions the downflow air across the work surface to create a containment zone. Negative pressure plenums and aerodynamically shaped cabinet surfaces capture airborne contaminants before they can enter the work area. The front access supply and exhaust HEPA filters are designed to capture particulates with 99.99% efficiency for 0.3 microns. A closed-cell peripheral gasket surrounds the filter housing to prevent particulates bypass and escape to the work area or laboratory. The microprocessor controller provides continuous supervision of all cabinet functions. 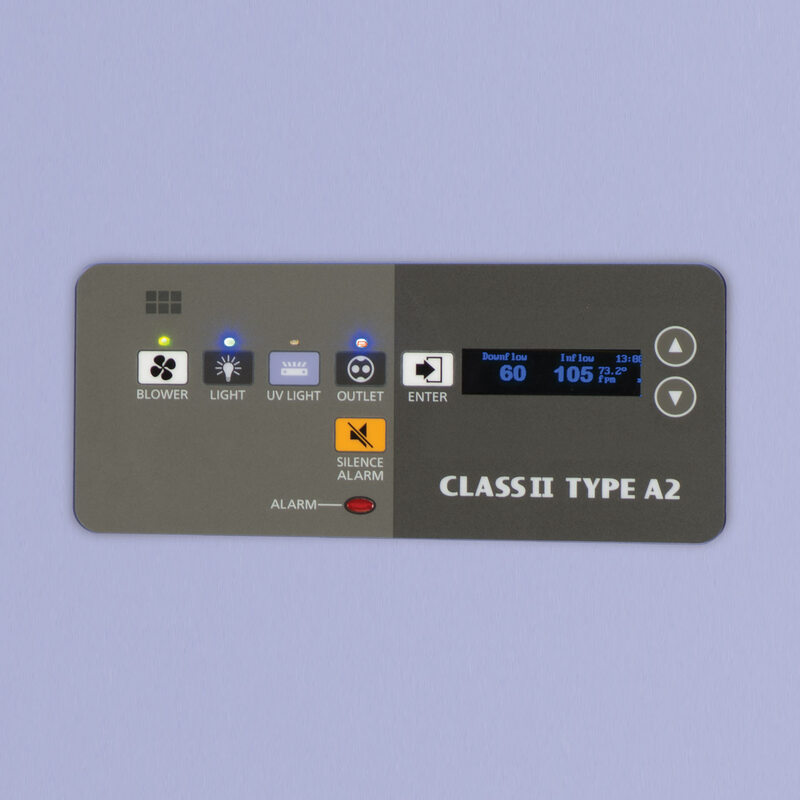 Universal icon touchpad buttons simplify one-handed access to on/off and alarm/monitoring system. 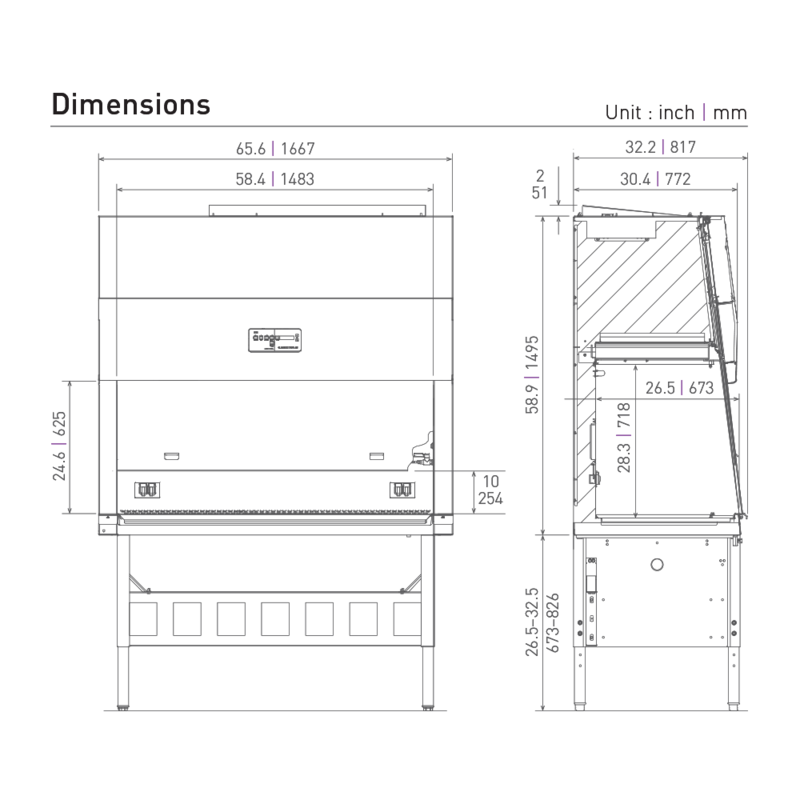 An ergonomically sloped front cabinet profile places work in close proximity to the user, improving comfort and minimizing the stress of repetitive motion. Uniform interior lighting and a glare resistant front sash optimizes human interface. These features extend productivity and throughput performed on the work surface. The specialized airflow system disperses air evenly over the supply and exhaust HEPA filters, minimizes vibration transfer and eliminates potential leaks by surrounding the positive pressure chamber with negative pressure. The supply air plenum shape and an electronically commutated motor design with automatic feedback control work together to extend filter life. Front filter access permits authorized certifiers to change filters with safety and efficiency. 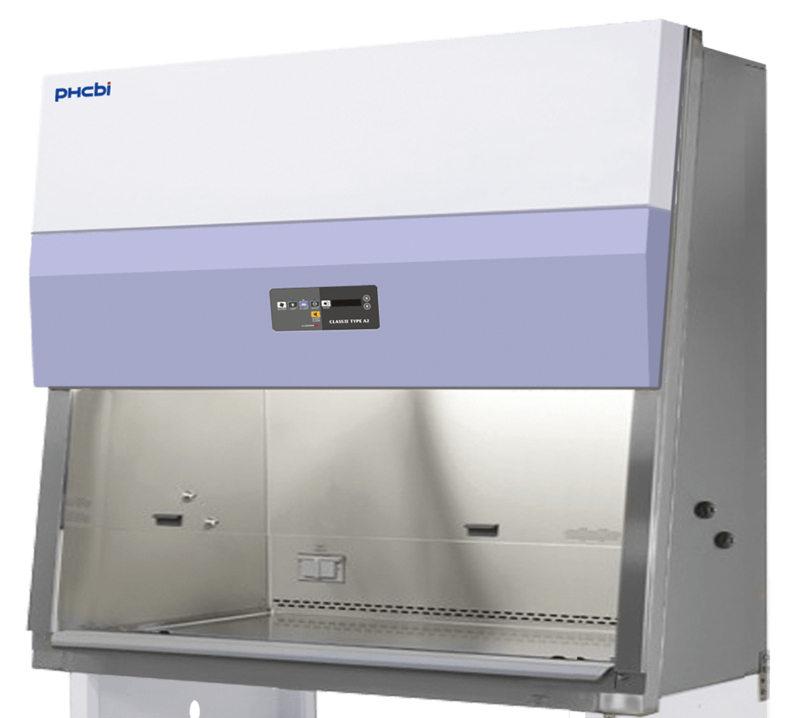 The PHCbi Class II, Type A2 Biosafety Hood offers a combination of cabinet design and filtration systems to protect personnel, the work product and the environment from biological particulates. The tissue culture hood is engineered for work with low to moderate risk organisms that pose a biohazard concern. 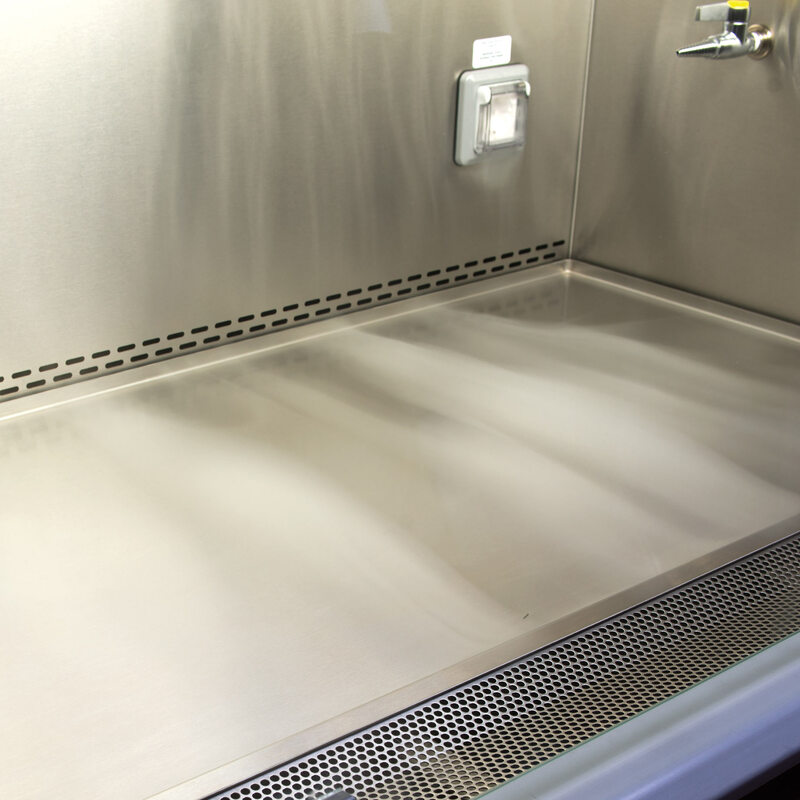 True laminar airflow with a constant face velocity airflow creates a performance envelope within and throughout the work surface to minimize or eliminate contamination. 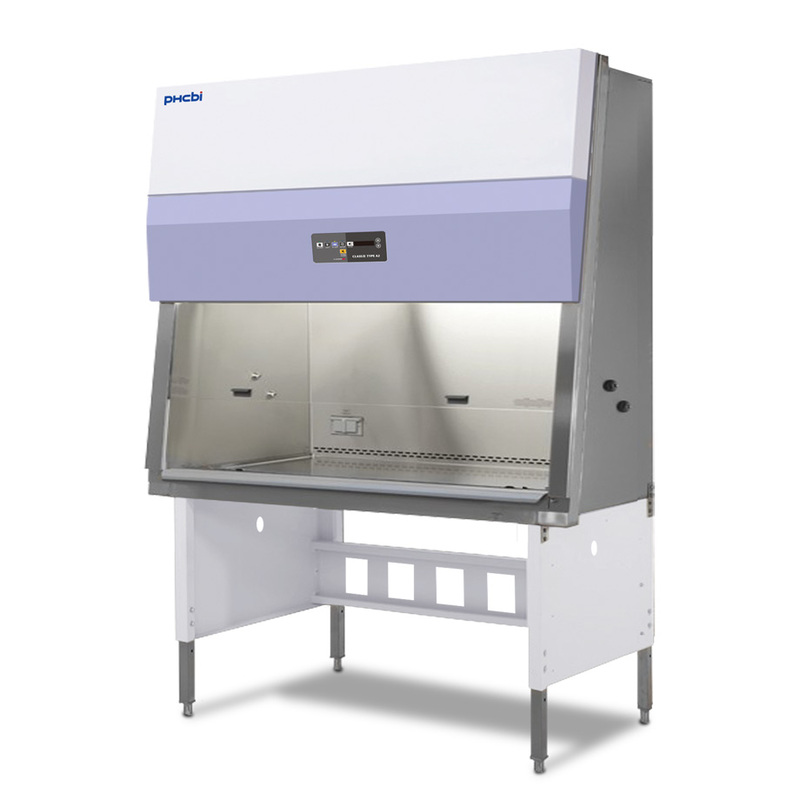 The MHE-N500A2-PA biosafety hood provides high performance airflow, high capacity filtration and ease of use.